It’s a Catch 22 situation, but one which needs urgent attention and a firm decision made before tragedies occurs in road races. While it is the vision of the nation to have a healthy society and wants its citizens to actively be involved in physical activities, the many road races (runs, marathons and road relays) that are mushrooming all over the country which is a good sign, it has its setbacks too. Not a weekend goes without runs being held in the name of charity, fun, fund raising, corporate names and all sorts of themes. In the Klang Valley at least three to four runs are held almost every week while in other states, at least one to two runs are held every other week. Participants vary from schoolchildren to elders and of course there are the run enthusiasts who virtually run every week and are prepared to travel the length and breadth of the country besides competing in neighbouring countries like Singapore, Thailand and Indonesia. But a majority of these runs are not sanctioned by the governing body of athletics in the country – Malaysian Athletics Federation – or the respective state athletics associations. Event managers are the biggest culprit of not seeking sanctions and run the event to their whims and fancies. While several of the event managers are veterans at organising these events, they are not experts when it comes to rules and regulations governing the runs which is all stipulated by the International Association of Athletics Federations (IAAF) which governing bodies in the respective countries have to adhere. But many organisers are not interested in official times or distances. They just want to have a fun run and fulfil their needs to organise the runs. The standard distances for men and women recommended and approved are 10km, 15km, 20km, Half-Marathon, 25km, 30km, Marathon (42.195km), 100km and Road Relay. It is recommended that the Road Relay race be run over the Marathon distance, ideally over a 5km loop course, with stages of 5km, 10km, 5km, 10km, 5km, 7.195km. For a junior Road Relay, the recommended distance is a Half-Marathon with stages of 5km, 5km, 5km, 6.098km. However, organisers to avoid any censures from the governing bodies of athletics in the country, organise distances which are less or more that the approved distances by IAAF. Then again, organisers say that the runs are fun runs and need not follow the stringent rules. But will happen if there is a mishap. Who will be responsible? Yes, the organisers get permission from the venue owners (eg City Hall, Town Council etc and the police). But not the MAF of State athletics associations to avoid sanction fees. 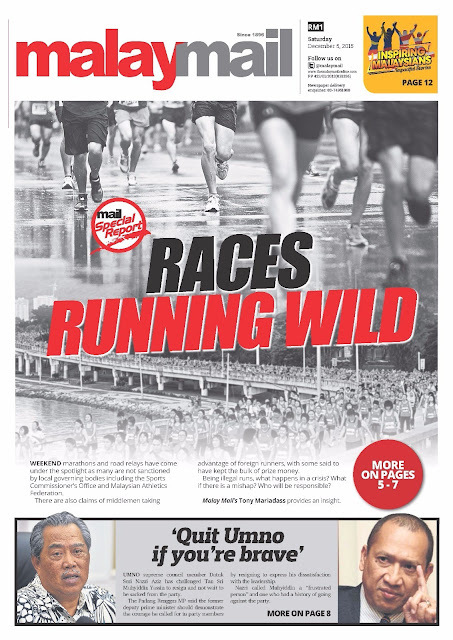 MAF president Datuk Karim Ibrahim said that while the bigger marathons and runs organised in Malaysia seek MAF’s sanction if it is an international run or the State athletics federations if it is just a local run, a majority of the runs in the country are held without sanctions. “While we as the governing body of athletics in the country encourage these runs as it cultivates healthy living besides an opportunity for budding new talent to be discovered, but the runs have to be managed in accordance with certain basic rules of the runs,” said Karim. “Many claim they do not need a sanction because it is just a fun run or for charity and does not cover the IAAF stipulated distances. “We are alright with these fun or charity runs, but they have to adhere to important aspects of races like safety, medical and the terrain in which the runs are held at the least. “The last thing we need is a mishap to happen and everybody looks for a scapegoat and runs will get a bad name. “Yes there is some sanction fee involved, but in most cases for fun, charity and small runs, the fee is nominal. “Besides, with sanction approval we can advise on the dos and don’ts, sanction the route and even offer certified officials to manage the runs. Karim also said that the venue owners and police should also assist in making the runs sanctioned. “Run organisers and event managers get permission from venue owners and the police who grant them permission without first checking if the event has been sanctioned by the athletics authorities. Karim said technically all events organisers are also required to get the Sports Commissioner’s office approval before a run can be held. Karim said that MAF is in the process to come up with some guidelines for race organisers soon and seeks the cooperation of venue owners and the police to work with them to ensure all races are regulated in the country. 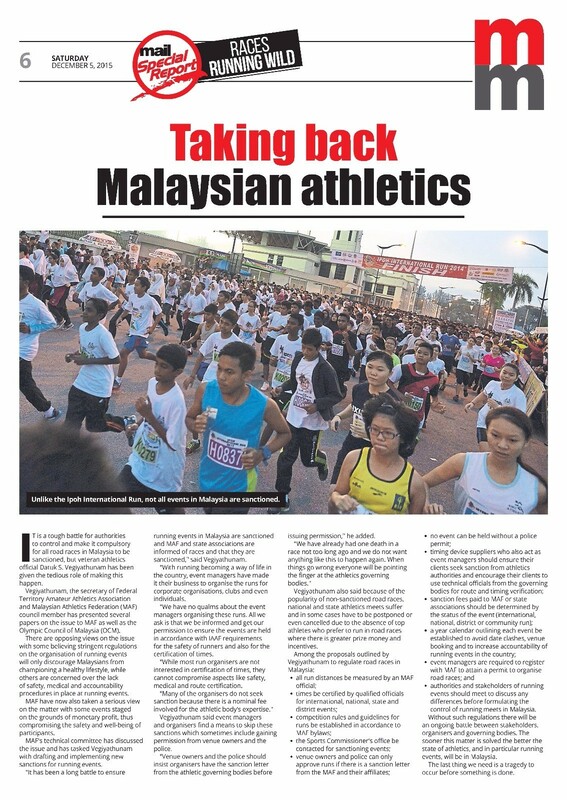 “We have already have discussed it at our Council meetings with the State federations on numerous occasions and have tasked Datuk S. Vegiyathunam (secretary of Federal Territory/Kuala Lumpur Athletics Association and Council member of MAF) to come up with a final proposal on sanction requirements to be implemented soon. “I will also be bringing up the matter with IAAF to have more stringent rules on road races and imposing on their affiliates to ensure that it is strictly adhered to by all countries to ensure that it is uniformly enforced worldwide,” said Karim who was recently enlisted to the IAAF Council. 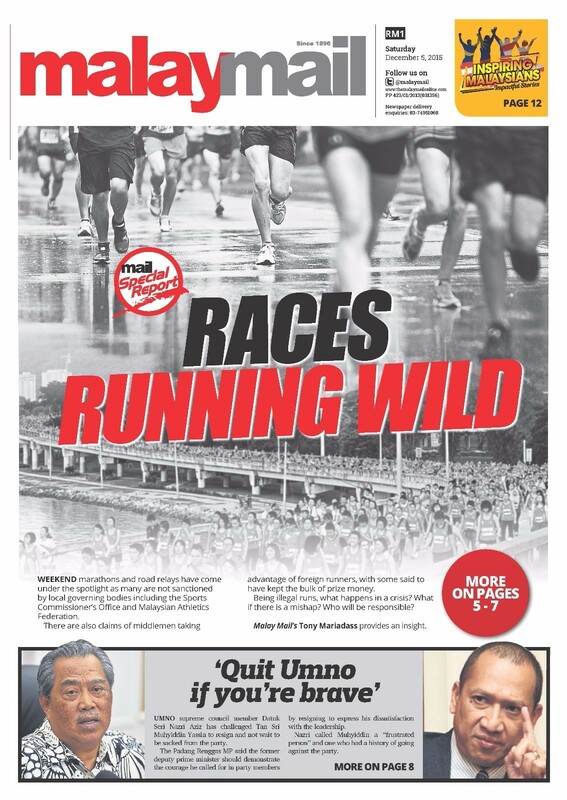 It is a tough battle for to have control and have all road races in the country sanctioned, but veteran athletics official Datuk S. Vegiyathunam has been given the huge task to make it a reality. 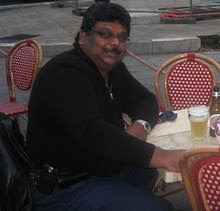 Vegiyathunam, the secretary of Federal Territory/Kuala Lumpur Athletics Association and Council member of MAF, a former international walks judge, has presented several papers on the issue to the Malaysian Athletics Federtion (MAF) and also to affiliates of Olympic Council of Malaysia (OCM) in a recent gathering. There has been opposing views to the issue with some saying that to encourage a running culture for a healthy society there need not be stringent rules to be adhered, but many are also of the opinion that the runs has to be regulated for safety, medical and accountability reasons. MAF have now also taken a serious view on the matter with runs becoming a money-making venture with safety and medical matters being compromised. The MAF technical committee have met and discussed the issue and have now tasked Vegiyathunam to come up with final paper for implementation of the sanctions. “It has been a long drawn battle to ensure that runs in Malaysia are sanctioned and the MAF or the State associations are informed of the races and get their sanction,” said Vegi has he more popularly known in the athletics circle. “But with running becoming a way of life in the country, event managers have made it their business to organise the runs for corporate organisations, clubs, organisations and even individuals. 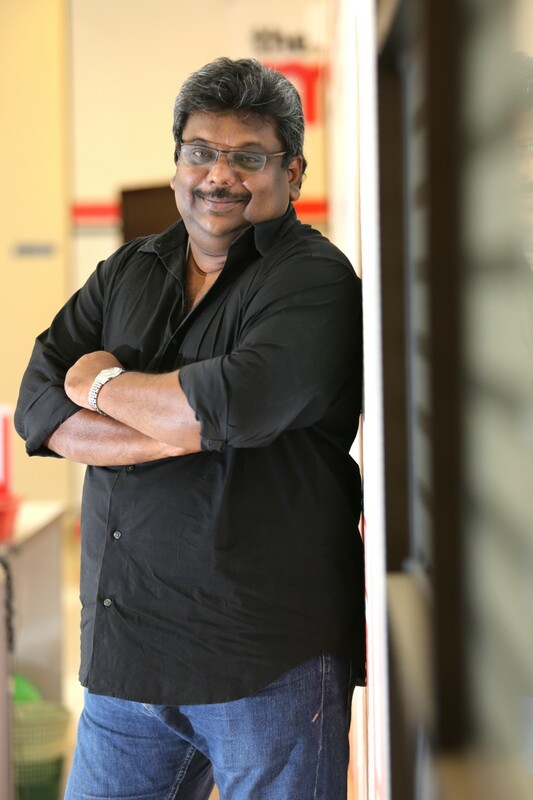 “We have no qualms about the event managers organising these runs. All we ask is that we be informed and get out permission to ensure that the runs are held in accordance of the IAAF requirements for the safety of the runners and also for certification of the timings. “While most run organisers are not interested in certification of times because it is only a fun run, but they cannot compromise of aspects like safety, medical and route certification. “Many of the organisers do not seek sanction because there is a nominal fee involved for the athletic body’s expertise. But Vegi said that event managers and organisers find ways and means to skip the sanction which includes permission from venue owners and the police. “Infact, venue owners and the police should insist that the organisers have the sanction letter from the athletics governing bodies before issuing them permission. Vegi also said that because of the popularity of road races, national and state athletics meets suffer and in some cases have to be postponed or even cancelled due to the absence of top athlete who prefer to run in road races when they can bigger prize money and other incentives. g) Chip system (timing device) suppliers who also act as event managers should support to ensure their clients to seek sanction from the athletics authorities and encourage their clients to use technical officials from the governing bodies for route and timing verification. h) Sanction fees to be paid to MAF or the state associations to be determined based on status of event eg international, national, state, district or fun runs. i) A proper yearly calendar to be drawn up to avoid clashes of runs, venue booking and also for accountability of runs in the country. k) A meeting of all the authorities and stakeholders of race runs being held as soon as possible to thrash out any difference before formulating the control of runs in Malaysia. Without it is going to be a long drawn issue with so many stake holders involved, but the sooner this matter is solved in the interest of road races in the country, the better. The last thing we need is a tragedy to occur before we decide to act. 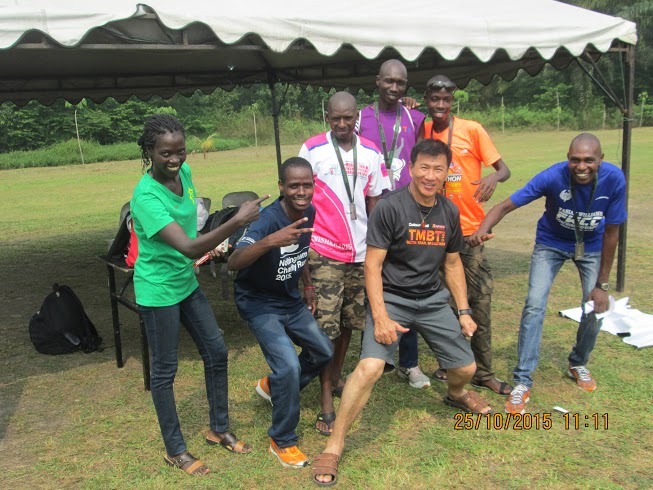 The increasing number of foreign athletes, especially from Kenya, participating in road races in Malaysia is fast becoming a problem. While foreign participation adds glamour and gives keener competition in races, the problems which has risen has outnumbered the benefits. In fact it has become a serious cause for concern especially after a major scam was uncovered and police reports made against winners of the Standard Chartered KL Marathon 2014 who had registered under a different name and ran and won the race. The Malaysian Athletics Federation in a follow-up to the incident after a meeting had decided to take firm action and had sent out circulars to all their affiliates that four athletes from Kenya who were involved in the said event were banned from competing in any future runs in Malaysia. In a strongly worded letter from MAF to the affiliates, it was stated that although a firm decision was taken on the matter, some of the banned runners were still running in races and winning prize money. MAF said that they were viewing the problem as serious and stressed the importance that action be enforced on these banned athletes as a strong signal to all ‘cheaters’ and also as a safeguard to the quality and reputation of races conducted in Malaysia. And the Chartered KL Marathon was not the first case, it had happened at the Putra Jaya night marathon, Bali Marathon and 2014 Kuching Marathon. There are still many foreign runners competing week in and week out in Malaysia and a majority of them are on social visit passes. They even have a local agent who houses them in Kajang and manages them by entering them for races. The agent gets a cut from the winning prize money of these athletes. Many of these foreign athletes use Malaysia as a base and compete in races in neighbouring countries. Sometimes organisers and agents take advantage of the presence of these foreign athletes and they are short changed. Athletes are promised appearance fees and are not paid or accommodations promised but not given. Such problems arose in October at the Kalumpang Rainforest Jungle 18km run in Ulu Selangor. A group of Kenya athletes based in Kajang were left stranded without accommodation and also their appearance fees of RM1,000 each was not paid. Their only consolation was that almost everyone in the group won prizes. To make matters worse, this run was not sanctioned by any athletics body nor had the permission of the Sports Commissioner’s office to run the event. Conveniently, the run was for 18km which does not come under the IAAF approved distances. Checks with MAF (sanctioned required from MAF as it had international participation) and Sports Commissioner’s Office, confirmed that the event was not sanctioned. In fact both bodies did not known that such an event was organised. Ironically, Tourism Malaysia’s logo was used and stated that they are co-sponsors. 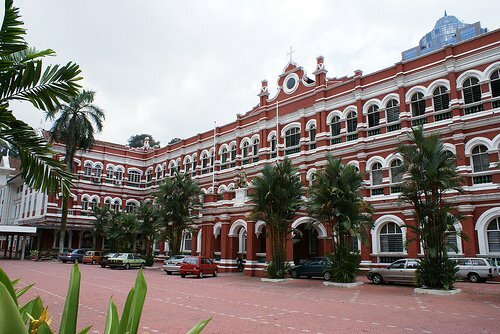 Tourism Malaysia had given accommodation packages as prizes. Whether the event organiser had the permission of Tourism Malaysia to list them as co-sponsors could be established. But the fact that Tourism Malaysia had sponsored the event with prizes although the event was not sanctioned certainly does not augur well. Checks revealed that non-qualified officials were manning the route and one Kenyan girl athlete had actually lost her way in the jungle. Luckily she managed to find her way back way, but way past the finishing time. 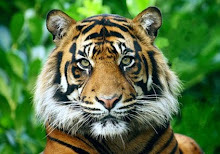 Imagine the consequences if she had lost herself in the jungle? In the recent Penang Bridge Marathon, saw Kenyans dominate the men and women open and junior categories. If legitimate athletes through invitation, studying in universities or sent by overseas athletics federation, compete in sanctioned runs, is it a non-issue. But when we have foreign athletes on social visit or worse still over-stayed athletes competing, it is only compounding the runs issue in Malaysia. Without doubt the issue has to be addressed immediately and all parties concerned had better take a strong stand on the matter and come up with some stringent measures to take control of road races in Malaysia. 1. The standard distances for men and women shall be 10km, 15km, 20km, Half-Marathon, 25km, 30km, Marathon (42.195km), 100km and Road Relay. Note (i): It is recommended that the Road Relay race be run over the Marathon distance, ideally over a 5km loop course, with stages of 5km, 10km, 5km, 10km, 5km, 7.195km. For a junior Road Relay, the recommended distance is a Half-Marathon with stages of 5km, 5km, 5km, 6.098km. Note (ii): It is recommended that road races be staged during April, May, or September to December, inclusive. 2. The races shall be run on made-up roads. However, when traffic or similar circumstances make it unsuitable, the course, duly marked, may be on a bicycle path or footpath alongside the road, but not on soft ground such as grass verges or the like. The start and finish may be within an athletic arena. Note: It is recommended that, for road races staged over standard distances, the start and finish points, measured along a theoretical straight line between them should not be further apart than 50% of the race distance. 3. The start and the finish of a race shall be denoted by a white line at least 5cm wide. In events on roads the course shall be measured along the shortest possible route that an athlete could follow within the section of the road permitted for use in the race. In all competitions under Rules 1.1(a) and, where possible, (b), (c) and (f), the measurement line should be marked along the course in a distinctive colour that cannot be mistaken for other markings. The length of the course shall not be less than the official distance for the event. In competitions under Rules 1.1(a), (b), (c) and (f), the uncertainty in the measurement shall not exceed 0.1% (i.e. 42m for the Marathon) and the length of the course should have been certified in advance by an IAAF approved course measurer. Note (i): For measurement, the “Calibrated Bicycle Method“ shall be used. Note (ii): To prevent a course from being found to be short on future re-measurement, it is recommended that a “short course prevention factor“ be built in when laying out the course. For bicycle measurements this factor should be 0.1% which means that each km on the course will have a “measured length“ of 1001m. Note (iii): If it is intended that parts of the course on race day will be defined by the use of non-permanent equipment such as cones, barricades, etc. their positioning shall be decided not later than the time of the measurement and the documentation of such decisions shall be included in the measurement report. Note (iv): It is recommended that for Road Races staged over standard distances, the overall decrease in elevation between the start and finish should not exceed 1:1000, i.e. 1m per km. Note (v): A course measurement certificate is valid for five years, after which the course shall be re-measured even when there are no obvious changes to it. 4. The distance in kilometres on the route shall be displayed to all athletes. 5. For Road Relays, lines 5cm wide shall be drawn across the course to mark the distances of each stage and to denote that scratch line. Similar lines shall be drawn 10m before and 10m after the scratch line to denote the take-over zone. All take-over procedures shall be completed within this zone. 6. The races shall be started by the firing of a gun. The commands and procedure for races longer than 400m shall be used (Rule 162.3). In races which include a large number of athletes, a five-minute warning before the start of the race should be given, with additional warnings if required. 7. (a) Organising Committees of Road Races shall ensure the safety of athletes and officials. In competitions held under Rules 1.1(a), (b), (c) and (f), the Organising Committee shall ensure that the roads used for the competition are closed to motorised traffic in all directions. (b) A hands-on medical examination during the progress of an event by the official medical staff appointed by the Organising Committee and identified by armbands, vests or similar distinctive apparel shall not be considered assistance. (c) An athlete shall retire at once from the race if ordered to do so by the Medical Delegate or a member of the official medical staff. 8. (a) Water and other suitable refreshments shall be available at the start and finish of all races. (b) For all events up to and including 10km, drinking/sponging shall be provided at suitable intervals of approximately 2-3km if weather conditions warrant such provision. (c) For all events longer than 10km, refreshment stations shall be provided at approximately every 5km. In addition, drinking / sponging stations for water only shall be placed approximately midway between the refreshment stations or more frequently if weather conditions warrant such provision. (d) Refreshments, which may be provided either by the Organising Committee or the athlete, shall be made available at the stations nominated by the athlete. They shall be placed so that they are easily accessible to, or may be put by authorised persons into the hands of, the athletes. Refreshments provided by the athletes shall be kept under the supervision of officials designated by the Organising Committee from the time that the refreshments are lodged by the athletes or their representatives. (e) An athlete who collects refreshment from a place other than the refreshment stations renders himself liable to disqualification. 9. In Road Races, an athlete may leave the road or track with the permission and under the supervision of an official, provided that by going off course he does not lessen the distance to be covered. 10. If the Referee is satisfied on the report of a Judge or Umpire or otherwise that an athlete has left the marked course thereby shortening the distance to be covered, he shall be disqualified. The weight of the transponder and its housing carried on the athletes’ uniform, number bib or shoe is not significant. The System is started by the Starter’s gun or approved starting apparatus. Marathon, 2:09:44.3 shall be recorded as 2:09:45. Whilst the determination of the finishing order and times may be considered official, Rules 164.2 and 165.2 may be applied where necessary. Note: It is recommended that judges and/or video recording(s) also be provided to assist in determining the finishing order.